Power chords can be utilized up and down the entire fretboard. They achieve full bodied chord voicings that are neither major nor minor. 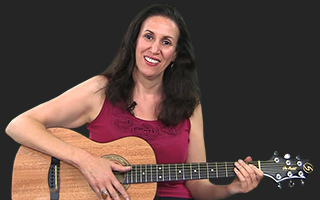 Jessica demonstrates a few of the positions in which power chords can be played.